Getting a high-profile celebrity to help market a new up and coming release isn’t uncommon in video games. In the past few years, whether it’s Community stars Donald Glover and Dani Pudi doing a TV spot for 2014’s Far Cry 4, Michael B. Jordan helping to promote Call of Duty: Black Ops 3, or the “Clueless Gamer” series with Conan O’Brien, games have found ways to expand their promotional strategies. With a couple weeks remaining until the launch of Spyro Reignited Trilogy, Activision is dipping their toes into the same pool with an intriguing partnership. Reports of the marketing campaign come from Newsweek, with a tour taking place with a drone designed to look like the fire-breathing purple dragon. In addition to the ability to breath fire, the drone is also geared with lines of dialog from the upcoming Spyro Reignited Trilogy. 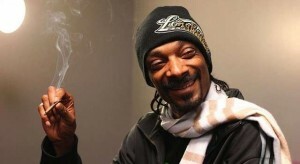 The journey will begin at Stone Hill in New York, and thanks to a collaboration with rapper Snoop Dogg, the campaign will conclude with him receiving his own copy of the game at his home in Los Angeles. Before then, “Spyro” will be making his way to West Virginia, Tennesse, Missouri, Colorado, and Utah in between. While it’s not likely the reason for the game’s delay from September to November, pushing a nation-wide marketing campaign for Spyro Reignited Trilogy might be what Activision and its developer Toys for Bob need to compete with some of the more high-profile titles launching around it during the holiday season. Just one day after it’s release, Bethesda’s Fallout 76 launches worldwide, while Pokemon Lets Go! Pikachu and Eevee launch for the Nintendo Switch just three days after Spyro. Spyro Reignited Trilogy was announced back in April for a holiday release. While Activision is looking to capture the same success they did last year with Crash Bandicoot N. Sane Trilogy, there are a few catches to the physical version of the remake, which could explain why the game was delayed by about two months. Physical copies of the game will only contain the first game in the trilogy on the disc, while Ripto’s Rage and Year of the Dragon will need to be downloaded on to the buyer’s system.